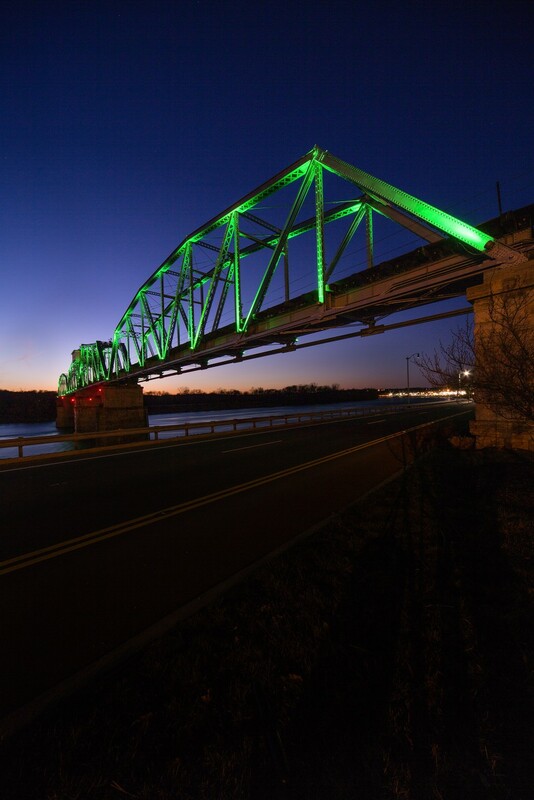 Originally constructed in 1890, the RJ Corman Railroad Bridge is an iconic railroad bridge that spans the Cumberland River in downtown Clarksville, Tennessee. Tennessee Lighting Sales used over 100 Lumenbeam Large Color Changing luminaires. Those were installed at the base of the bridges’ columns to accentuate the industrial architecture of the historical bridge. 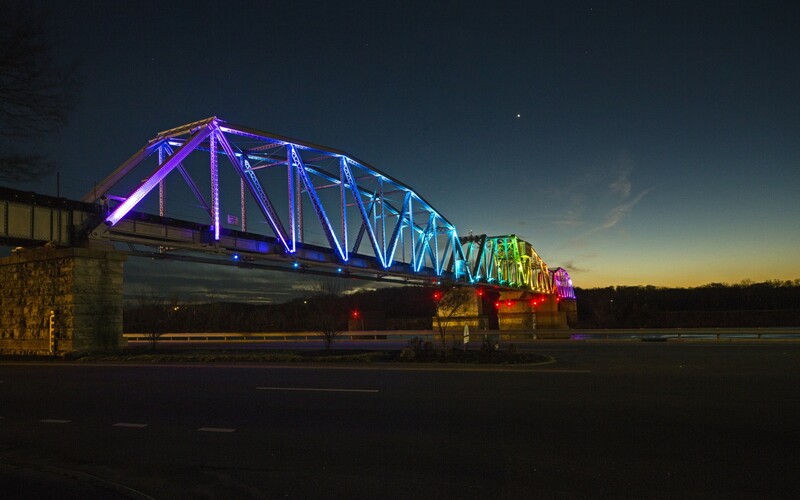 An RGBW color changing option was chosen to provide a more nuanced palette of color options, which can be programmed throughout the year to commemorate special occasions and holidays. 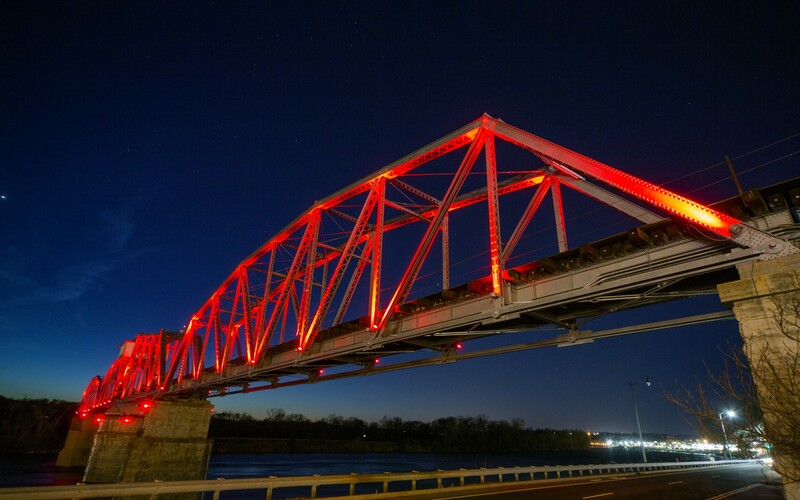 The new lighting system makes a previously rusting bridge come alive, and has brought attention to the area and the city of Clarksville. 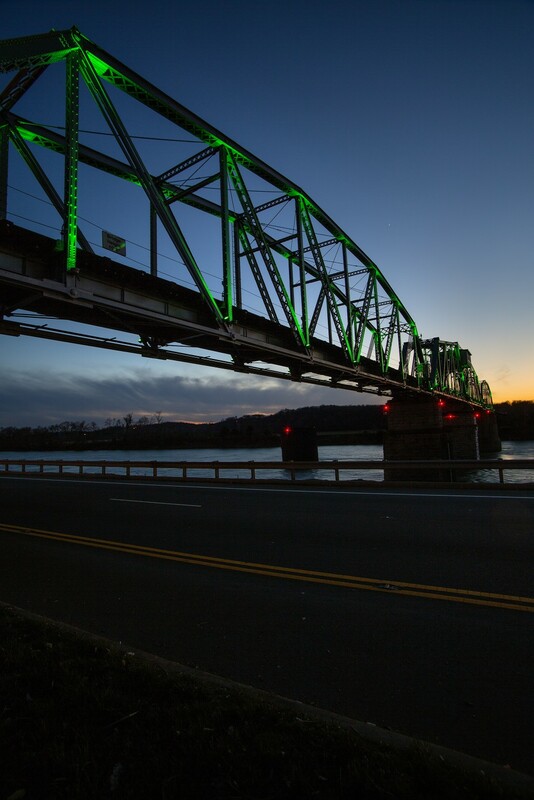 Tennessee Lighting Sales used over 100 Lumebeam Large Color Changing luminaires, installing them at the base of the bridge's columns to accentuate the industrial architecture of the historical bridge. In desperate need of a makeover, a restoration project involving city, state and county leaders was undertaken in early 2014. 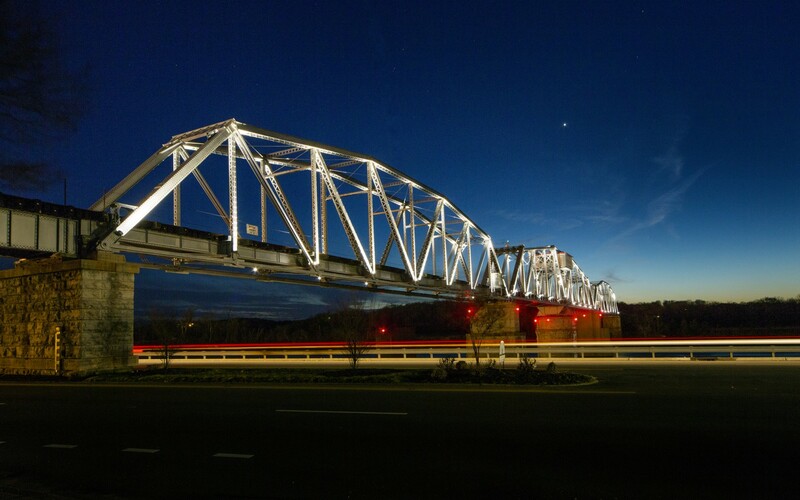 Tennessee Lighting Sales was hired to develop a dynamic, efficient LED lighting system to brighten up the bridge and give it a unique nighttime appearance. 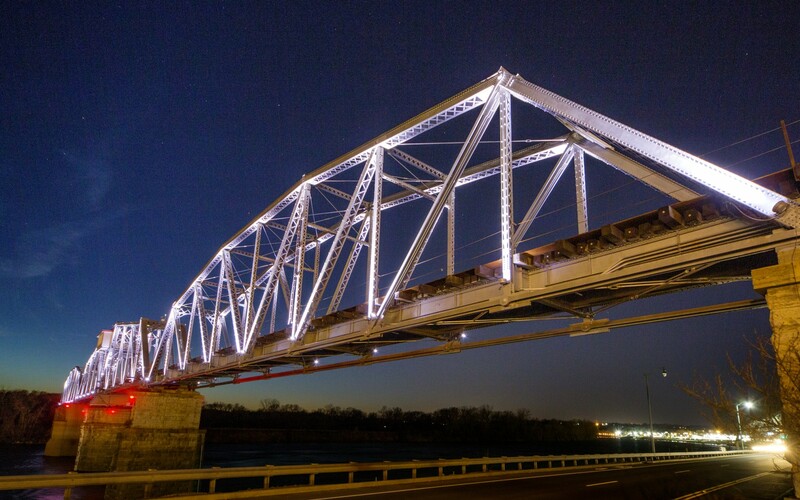 To achieve this, Tennessee Lighting Sales used over 100 Lumenbeam Large Color Changing luminaires, installing them at the base of the bridges' columns to accentuate the industrial architecture of the historical bridge. An RGBW color changing option was chosen to provide a more nuanced palette of color options, which can be programmed throughout the year to commemorate special occasions and holidays.